Despite being a key figure for AC Milan, reports claim that Suso’s agent brought him up in a meeting with Chelsea earlier this week. 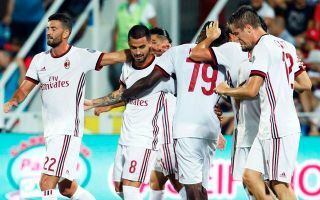 The 24-year-old has made significant improvements to his game since leaving Liverpool in 2015, as he has established himself as a fundamental part of Milan’s line-up on the right wing. With eight goals and 14 assists in 50 appearances last season, he was once again a creative spark for the Rossoneri, but it hasn’t stopped speculation over his future building. As per Teamtalk, the Spaniard has a €38m release clause in his contract, thus potentially making him a more attractive option to interested parties given price-tags in today’s market. With that in mind, it’s claimed by Calciomercato that his agent, Alessandro Lucci, met with Chelsea on Tuesday and during those discussions over different matters, it’s suggested that he brought up the idea of signing Suso. The Spanish forward would undoubtedly offer a different dynamic for the Blues in the final third to potentially compliment the pace, movement and direct running of the likes of Eden Hazard, Pedro and Willian. Given his technical quality, vision and passing range, he could be an astute addition to the Chelsea squad, but it remains to be seen whether or not Milan are willing to let him leave. On one hand, he will undoubtedly remain an important part of Gennaro Gattuso’s plans moving forward given his influence on the team in recent seasons. However, after UEFA opted to exclude Milan from Europe next season due to an FFP breach as noted by The Independent, and the ongoing uncertainty over the ownership situation at the San Siro with hedge fund Elliott Management assuming control as per the Financial Times, the Italian giants could be forced to consider a big-money offer if one were to arrive.